Are you the best candidate …but you never get interviews? 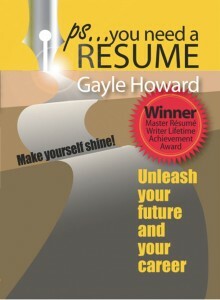 Then it is time to turn to Gayle Howard: award-winning Master Resume Writer and Certified Personal Branding Strategist, with resumes featured in more than 25 international career books. 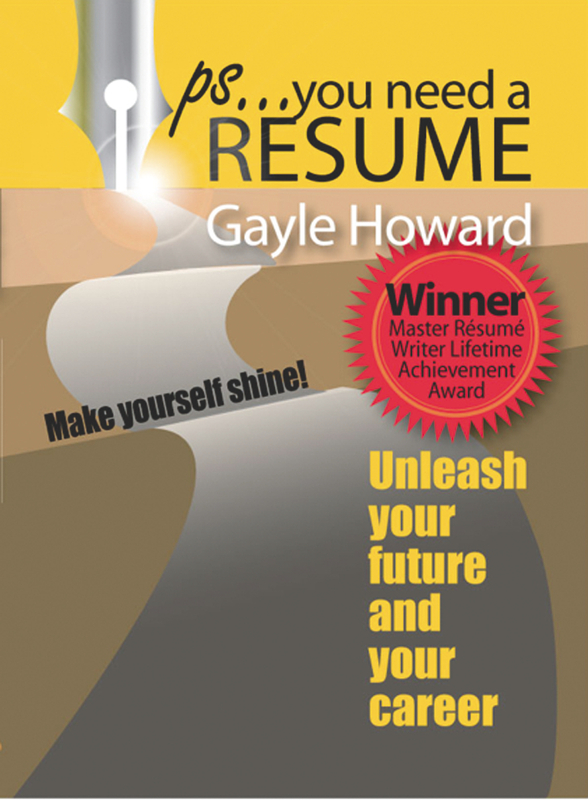 Powerful, insightful and containing that “wow” factor, Gayle’s resumes have helped thousands to secure interviews, and now, through her book, PS…You Need a Resume, Gayle shares the secrets of her trade. 65 pages of real-life resume examples from executive to hospitality, graduates, administration, engineering, IT, and more to guide and inspire you. PS…You Need a Resume! outlines step-by-step, the most effective resume-writing strategies Gayle has developed as a professional resume writer. No wading through the history of resume-writing through the ages or lectures on formats. Just an easy-to-follow, 7-Step Plan. PS…You Need a Resume! is about how to write and present a resume that will increase your chances for interview.